These shoes are estimated to fit a 12 to 18 month old child. 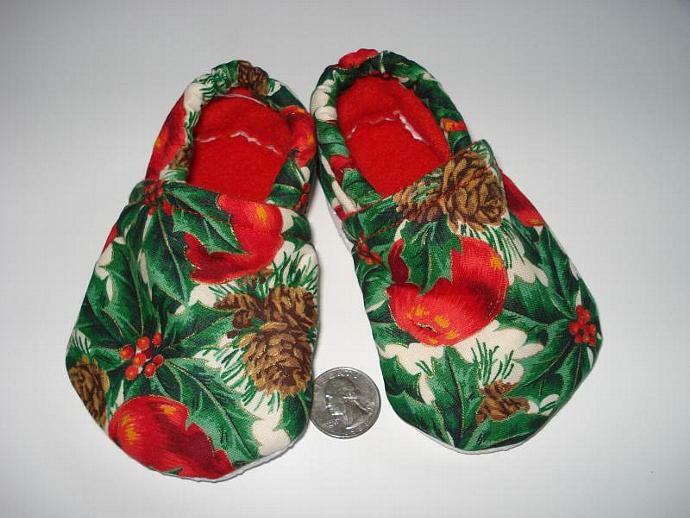 The exterior is a beautiful Christmas fabric with red apples, pine cones, green holly leaves and red berries,the lining is red fleece, and the bottom sole is grip dot. Elastic across the heel back keeps them from slipping off. These will make a wonderful gift for a baby shower or just a nice addition to your little one's wardrobe.